It’s normal to be nervous when you have to go to the hospital, but you trust that your medical care providers know what they’re doing, will act competently, and will not make any mistakes. Unfortunately, medical professionals can make mistakes at the cost of your health and well-being. The Little Rock medical malpractice lawyers from McMath Woods P.A. can protect your rights and make sure you get the compensation you need to recover from what you’ve been through. Our lawyers stand up for the citizens of Little Rock and Arkansas and put your needs first. Doctors, surgeons, pharmacists, or any other person in the medical field needs to be held accountable for their actions—especially when they cause personal injury with a medical error. Their negligence may create a situation where you suffer from additional health complications, need more time to recover, and, as a result, may possibly need to miss work for an extended period of time. With all these issues in the air, anyone can easily get overwhelmed when a med mal claim is added to the mix. You may want to handle the matter as quickly as possible but doing so runs the risk of getting a smaller settlement than what you are rightfully owed and could have gotten with a personal injury lawyer. This could mean your settlement won’t cover what your injuries cost and you’ll have to pay for past expenses or future treatments out-of-pocket. McMath Woods P.A. has medical malpractice attorneys who have the experience and drive to help your claim succeed. We’ll carefully examine your case to see how the mistake occurred, the injuries you sustained because of it, and how those injuries are affecting your life physically, emotionally, and financially. How Common Are Instances of Medical Errors? According to a 2016 study conducted by Johns Hopkins, experts report that more than 250,000 deaths a year are due to medical mistakes in the United States. As such, this means that medical errors made by physicians and other healthcare professionals are the third-leading cause of death in the country, between cancer and chronic respiratory disease. The study attributes the majority of the mistakes to poorly coordinated care, fragmented insurance networks, and the absence of safety nets and other protocols. Arkansas has nearly 10,000 licensed physicians. Based on a population of nearly three million, this means that there are approximately 330 doctors for every 100,000 people. In 2017, there were more than 18 malpractice claims filed for every one million residents. In the end, approximately 56 of those resulted in payment to the victims. Our medical malpractice lawyers recognize that while instances of physician negligence are common, many victims don’t come forward to seek justice. We believe all victims deserve a chance to recover comfortably. Our lawyers stay current on all medical malpractice issues, so we can build our clients the strongest cases possible. It’s important to understand that medical malpractice cases are complex. You should have realistic expectations of what could happen, and your lawyer will be able to give you this insight. Studies show that physicians tend to win 80-90 percent of jury trials when the defense presents weak evidence, 70 percent with adequate evidence, and 50 percent with strong evidence. Unfortunately, that means that cases can be dropped and the person filing the claim will not receive payment for what they’ve suffered. Also, if the evidence the defendant provides weakens over the course of the case, the settlement offer can drop. Your lawyer will know what criteria your case needs for you to get the compensation you need. Failing to prove one of the points or not following the standard procedure for these claims could mean your case will get denied. The Little Rock medical malpractice lawyers at McMath Woods P.A. also know how to show these points to achieve success. During your case, your lawyer will use the evidence they’ve gathered to make the connection between your injuries and the care you received. This begins by showing that there was a doctor-patient relationship, where you went to the doctor and they agreed to treat you. Because of this, they owe you what’s called a standard of care, where they are supposed to treat to the best of their ability and not cause further harm. If another doctor who had similar training and worked in a similar position would have acted differently than the individual that caused an injury, then the patient’s doctor didn’t meet the required standard of care. Bringing in expert witnesses, such as other doctors, to give their professional opinions can greatly strengthen your case. After establishing that, you need to prove how the doctor acted negligently. This could be them ignoring obvious symptoms of a certain disease or not telling you about risks with a procedure. The expert witness can also help with this area as well. Then, your Little Rock lawyer will connect your injuries to the medical negligence. You can also include how these injuries are affecting your life, like the inability to work or difficulty performing daily tasks. It may help to keep a journal or some form of documentation that details how your life has changed since the injury. Writing everything down as it’s fresh in your mind means you’ll have accurate descriptions and will be able to present clear and concise examples later. You should not wait to contact a lawyer and begin your case. Many personal injury claims have to be filed within the statute of limitations. In Arkansas, you have two years from the date of the injury to file. Contacting a medical malpractice lawyer as soon as possible will give them time to gather evidence and proceed with your case. You’ll also have most details about your case fresh in your mind. It’s important to understand that the type of medical mistake you’ve endured can have an impact on your claim. Understanding the different types and the evidence involved can strengthen your case. What Are the Types of Medical Mistakes? Since there are many kinds of healthcare professionals, medical negligence can happen in a myriad of ways. No matter what you’ve experienced, these actions are unacceptable and could put your health in danger. For example, a surgeon can make an error during a surgery that damages vital organs or nerves. They could also perform the wrong surgery, perform wrong-site surgery (like operating on the wrong limb), or leave surgical tools or sponges in the patient after the surgery. These mistakes can cause painful injuries that may require another surgery to fix. Another terrible medical error that can happen is when the surgeon fails to give the patient an opportunity to give informed consent to a procedure. Before undergoing a procedure or treatment, the surgeon or doctor should inform the patient of what’s going to happen and the risks. The patient has to give informed consent. They can’t give this consent if the information is withheld from them. Mistakes during procedures can cause permanent damage that will leave life-lasting effects. If doctors make mistakes during the birthing process, the baby could have permanent health issues. This could include brain function and mobility. The doctors could also act in a way that puts the mother in danger. Medication is often a part of treatment. Unfortunately, sometimes prescription errors can occur. There may be an issue with similarly sounding prescriptions so the patient is giving the wrong one, or they are given the wrong dosage, which can be life-threatening. If a person suffers from an allergic reaction, the injuries could be catastrophic, such as reducing the ability to move or even affecting cognition. When a doctor is diagnosing a patient, they usually go through a series of steps and tests to rule certain things out to find the problem. Valuable information about a patient’s health comes from tests or X-rays. Doctors that ignore or misread these tests can cause more harm to their patient. There can be instances where a doctor either believes the illness or injury is something else or doesn’t see the signs of what is ailing you. In a misdiagnosis, doctors may think the symptoms point to one illness and start treatment for that, but the patient has another illness that isn’t being treated. When a doctor fails to diagnose, the patent gets delayed treatment. Whereas competent doctors would have recognized the patient’s symptoms as a certain illness, a negligent doctor may not give the patient a diagnosis even though they have enough evidence to do so. While all the above examples involve people who work in hospitals, there’s a chance for a medical error to arise that wasn’t the professional’s fault. A defective device may have caused the injury or complication. Those in the medical field depend on devices to keep track of a patient’s vitals or otherwise keep them safe. In this case, the manufacturer may be liable because they put a defective product on the market. These aren’t the only kinds of malpractice. If you’re wondering if you have a valid claim, you should meet with one of our medical malpractice attorneys. How Does Arkansas Define Medical Malpractice? An important part of determining if you have a valid claim involves understanding how medical malpractice is defined in Little Rock. Laws are designed to protect a patient’s rights. If a healthcare professional commits an act of medical negligence or omits something and a patient sustains damages or is harmed, the victim has the right to take legal action with the guidance of a medical malpractice lawyer and hold the party accountable. Cases often arise when doctors deviate from the accepted practices, hospitals provide improper care, there are preventable issues with medications, nursing care, or sanitation, or when local, state, or federal agencies that operate hospitals act negligently. Malpractice suits, however, are often complex and they can be expensive to win. While you can theoretically seek compensation for any injury caused by a doctor, it may be unrealistic to sue for a minor injury. It’s important to consult with an attorney who can help you decide if your claim is worth pursuing. You’re probably well aware of the extensive training and hard work it takes to work in the medical field. You may be wondering how something like a misdiagnosis or prescription error could happen in the first place. Many hospital error cases could be a result of overworked staff who are trying to keep up with everything, but this isn’t an excuse for you to suffer because they made a mistake. Sometimes, it comes down to individual medical negligence. A doctor could make a mistake or could be unprepared to do their job that day. There could be instances of a healthcare professional trying something that they don’t have enough experience to do. There’s also the possibility that some are struggling with the stresses of being in the medical field. Some may turn to illicit substances. A healthcare provider could be under the influence of alcohol or drugs and still try to do their job. When you’re in a hospital, it’s likely that you’ll see more than one person during your stay. Patients may switch from nurses, doctors, and specialists. Their records need to have accurate information, so those taking care of them can administer the best care possible. When poor records are kept, patients are put at risk. Details that don’t make it to the records or sloppy record keeping could mean giving a patient medicine they’re allergic to or missing a crucial piece of information about their medical history. Miscommunication is also an issue that could be devastating to patients. Hospital staff need to communicate clearly so everyone is on the same page and the patient gets the care they need. When someone in charge isn’t informed about the patient, they may do something that harms the patient. When the hospital isn’t in sync, mistakes will happen and patients will suffer. Your Little Rock medical malpractice lawyer may look at the protocols and policies of the hospital to see if your injury was caused by something like a clerical error. We will then calculate your losses and determine what you’re owed. What Damages Can a Victim Recover? The compensation you receive for a medical negligence claim is based on the economic and noneconomic damages related to your injury. Economic damages can be calculated, while noneconomic damages have to be estimated. Fortunately for victims, Arkansas does not have any caps on medical malpractice damages. Damages that are capable of exact calculation include lost earnings, lost earning capacity, medical expenses, cost of future care, and other financial losses associated with the injury or harm. If you’ve lost your earning capacity, meaning you are no longer able to work because of your injury, what you’re owed will be calculated using present value. This is a financial concept that involves figuring out how much money you would make over the years if you were able to work. Calculating lost earnings and lost earning capacity can be difficult if you were not employed at the time of injury, were in-between jobs and were planning on accepting a new job for more pay, or you were self-employed. Your lawyer can determine how much you should be owed based on your unique situation, so you can afford your expenses during and after your recovery. Noneconomic damages include pain and suffering, mental anguish, and loss of consortium. There are no official guidelines for determining how much a person is owed for these damages; however, there are some factors that affect the outcome. Those tend to include what the jury thinks of the victim, the presence of a criminal record, the possibility of lies, and whether or not the jury can understand the injuries. Loss of consortium refers to the relationship between the injured person and their family. What Consequences Do Negligent Care Providers Face? You may be wondering what will happen to the physician who harmed you in the event the case is successful for you. The answer greatly depends on the state the doctor practices in, as the United States is one of the few countries that does not have a national system for overseeing and punishing healthcare professional misbehavior. Negligent physicians in Little Rock and Arkansas, however, often see some of the highest rate of disciplinary actions compared to the other 49 states. In addition to the compensation owed to the victim, some of the most common punishments include fines, required monitoring, and suspension or revocation of medical licenses. There are issues, however, with incongruent punishments across state lines because what may keep a doctor from practicing in one state may not be enough to keep them from moving and working for a different hospital or other facility. Our attorneys will work to ensure you are compensated for your injuries and the responsible physician or party is held accountable to the fullest extent for their actions—in the hopes that no one else will be victim to their negligent actions or inactions. As mentioned, medical malpractice cases can be incredibly complex. You will benefit from hiring an experienced lawyer who understands the law and has the ability to negotiate with insurance companies. We will thoroughly investigate your case to determine how best to present the information to a court. Not only can this reduce the stress you’re experiencing, but it can help you in obtaining a higher amount of compensation for your injuries. If you’ve been injured because of a physician’s error, the Little Rock medical malpractice lawyers at McMath Woods P.A. will make sure your voice is heard. You deserve peace of mind that someone is looking out for your best interests. Contact us today to schedule a free consultation. 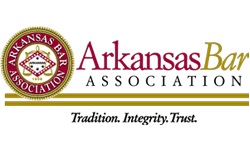 You’ll speak with one of our attorneys in Little Rock about the merits of your case and determine which course of action is appropriate for you.